Looking for the latest Sky TV offers or Sky Q deals? Every week we take a look at the latest Sky TV deals, packages and special offers to make sure that you're getting the very best prices when you decide to sign up! So if you're trying to decide which Sky TV offer is for you, what a Sky Q box is and if you can afford it or even if you should be getting one in the first place - you're in the right place! As you scroll down the page, we'll discuss the latest Sky TV packages, offers and any special deals and walk you through the larger bundles with the optional extras like Sky Cinema and Sky Sports. We've kicked things off with a cracking Sky TV bundle below. We'll update this page with the latest offers whenever they arrive. As things stand today, it's never been simpler to explore your options as Sky has standardised the default package with a flat £20 a month cost, which you can then add additional paid extra add-ons like sky Box Sets, Sky Sports and Sky Cinema. We've gone into detail about each of the available add-ons below and they'll all be offered to you as you go through the checkout process over on Sky's website too. Are there any Sky Q deals for new customers? Yes! Actually, all of these Sky TV packages include a Sky Q box by default if you're signing up as a new customer. When choosing your Sky TV package from the list of offers below, you'll be presented with two Sky Q deals to choose from. The default Sky Q box is the 1TB option with a one-off £20 setup cost. Opt for the 2TB Sky Q box though and that setup cost rises to a rather steep £199. That's pretty harsh to be honest, although the monthly prices don't change, so it is just the one-off cost to consider. Alternatively, you can get the Ultra HD 2TB Sky Q box for £75 instead if you add Sky Q Multiscreen to your bundle for £12 a month. We'd get your channels sorted first, then maybe scroll back up to the Sky Q offers' section once you have a better idea of the overall cost, which is handily updated throughout at the top of the screen. Do I need a 2TB Sky Q box? In addition to double the storage (that's up to 1000 hours in standard definition) of the standard Sky Q box, the 2TB Sky Q deal comes with a few extra benefits. Such as being able to record six shows at once instead of three, while watching a seventh. You also get the fancier Sky Q Touch remote control, an extra tablet allowance, and the all-important party piece - you can enjoy select channels in Ultra HD. Which is great if you've recently taken advantage of a cheap 4K TV deal. Sky has ditched the old format of multiple tiers of Sky TV packages to choose from. 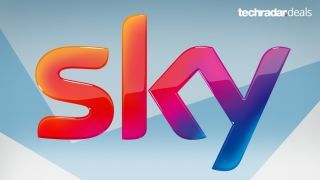 The Sky Entertainment pack is the Sky TV deal that every new customer will start with and it's only £22 a month. After clicking the link below, you'll also be able to add on extra channel add-on packs from just £5 a month (which works out cheaper than the old format and ensures you don't pay for extras you don't want). We've gone into details about each of the add-ons below too, so it might be worth having a read before heading over to Sky as its site can be a bit vague on the details. This pack includes a wide variety of dramas, comedies, documentaries, music and Sky Originals. Top channels include Sky One, Sky Atlantic, Nat Geo wild and more. Sky TV deal add-ons are much easier to understand since the reshuffle. Better yet, prices seem to be lower across the board and simple to see for both new customers building a bundle, or existing customers wanting to beef up their current deal. Sky recently teamed up with Netflix to offer this superb bundle where you get both Sky Box Sets and Netflix for just £12 a month. That's certainly cheaper than paying for them separately, so we'd drop your current Netflix sub for this one if you're thinking of getting Sky. For us, this is an essential addition to your Sky TV deal. With a new premier every day and over 1000 other films to choose from, the Sky Cinema is great for movie fans. The selection seems to be much more up-to-date than the films shown on Netflix and Amazon Prime too. You also get these channels in HD at no additional cost in this Sky TV add-on. A mere fiver a month grants access to over 4500 episodes on demand. There's more though as there are also 10 live channels. Don't worry about them hogging the TV though as you can also have up to 10 individual profiles on the Sky Kids app with shows tailored to the age of your children. Sky Multiscreen (now known as the Sky Q Experience) is an extra £13 a month. Do look out for the rather steep one-off setup fees though. Adding multiscreen to just one more TV in your home is just £20. But if you want to have two Sky Q Mini boxes it will cost you an eye-watering £119. Ouch. Once those setup fees are paid though, you are only paying £13 a month for the rest of your Sky TV contract. If you're also looking for a fibre broadband bundle to compliment your Sky TV deal, then you can add one to your Sky package from as little as £27 a month. It all depends on what's available in your area via the postcode checker on the site. The cheapest fibre Sky Broadband option is on offer at £27 a month. That's for 18 months unlimited broadband. The download speed is up to a very healthy 63Mbps, which we find is plenty for gaming, streaming, downloads - anything really. Can I order Sky TV deals on the phone? You sure can. If you'd prefer to talk to a person to walk you through each step then you can phone 0800 014 2334 to sign up for a Sky TV package. We recommend having a good read through the sections above about each add-on first, just so you can go in with a good idea of what's available and don't feel pressured when you make the call. What Sky TV package is Game of Thrones on? Game of Thrones season 8 will start on Sky Atlantic in April 2019. It's on every Sky TV package now as they all come with the Entertainment pack as a base package to build on. What HD Channels do I get on Sky TV? With all packages you get at least the standard free to air HD channels. To be honest you also get a fair few of these with standard Freeview HD. If you sign up for Sky Sports, there's no longer an extra fee to be paid to get them in HD as the channels now show in High Definition by default.